Was the Alleged Skripal Poisoning Incident an Elaborate Hoax? 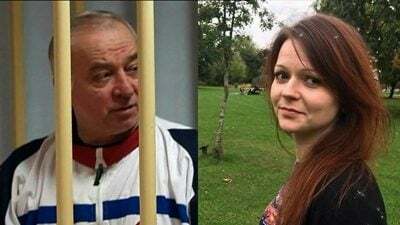 Was whatever happened on March 4 to father and daughter Skripal something other than what the official narrative reported? Did anything at all happen? Were the Skripals poisoned or ill for another reason? Did Britain conceal the truth about the whole ugly business – a scheme to frame Russia for what it had nothing to do with? When inflammatory headlines unquestionably support the official narrative, bet on disinformation and Big Lies substituting for truth-telling. Russia was framed for perhaps what never happened – at least not as officially claimed. On March 31, Fort Russ reported that Yulia Skripal, Sergey’s daughter, “visited her ‘Vkontakte’ (social media) page…on the morning of March 7” – three days after the alleged poisoning incident. The official narrative claimed she and her father were in a coma, poisoned by a deadly military-grade nerve agent. It’s possible someone else hacked into her site, but for what reason, surely not UK or US operatives, wanting no information conflicting with the official narrative getting out. If hacking occurred, forensic analysis could determine it, nothing suggesting it so far. On March 29, Salisbury District Hospital Dr. Christine Blanshard explained Yulia’s condition improved markedly. She’s “conscious and talking,” no longer in critical condition. Was she ever as ill as officially reported, or if so, what is the hospital’s diagnosis? Will Sergey Skripal’s condition be reported improved ahead, recovering steadily? Clearly, whatever may have affected them wasn’t a military-grade nerve agent. They and other Salisbury residents they had contact with would have been dead in minutes if poisoned by something this deadly. A few obvious lessons can be drawn from the above information. Never accept official narratives at face value on most everything – including major media reports. Most often they’re meant to deceive, not accurately explain things. The alleged Skripal incident is the latest US/UK political assault on Russia – public enemy number one in Washington and London. Almost surely more provocative shoes will drop ahead, likely more serious, the trend heading in this direction. If Washington could pull off the elaborate mother of all 9/11 false flags, most Americans still believing the official Big Lie, staging the Skripal affair by the US and Britain would be simple by comparison. Escalating US/UK-led hostility toward Russia heads things perilously toward East/West confrontation – the ominous risk of nuclear war. That’s the scary reality ahead if madness defining US policy isn’t curbed.